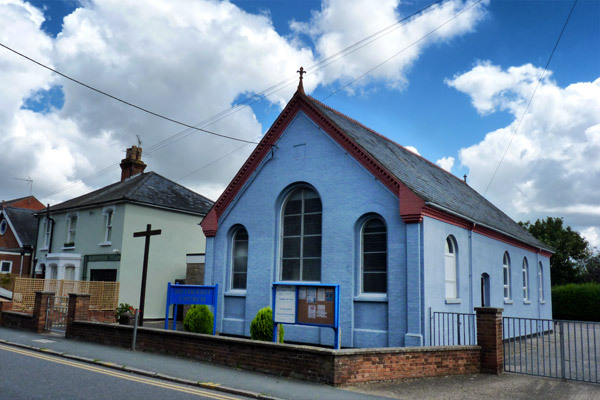 Please see the Wivenhoe Methodist Church website for more comprehensive information. A book is available with the above title, written by current church organist Geoffrey King. The earliest mention of Wivenhoe Methodist Church comes from the Circuit minute books of the respective Circuit quarterly and Local Preacher’s Meetings during the years 1823 – 1836. With details of the purchase of the land, the funding, some early pictures and diagrams, details of the actual building, the book provides a thorough insight into the history of Wivenhoe Methodist Church. There are a few copies available.